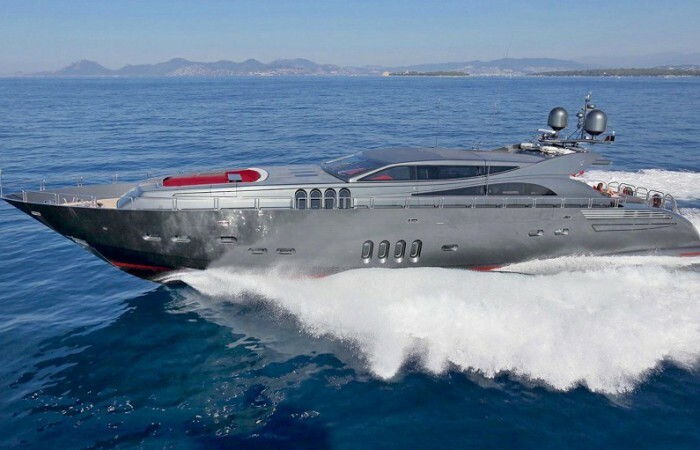 This yacht impressive enough to make even the world’s most famous spy, James Bond, weak at the knees. It is 112 feet in length and is painted in gunmetal grey with a number of bright red elements to really make it stand out. Power is provided by three water jet diesel engines delivering 2400 hp each helping to send Koji to a top speed of 42 knots alongside a range of 600 nautical miles. Unlike other yachts which can be purchased for the same money, Koji doesn’t just offer either luxury or performance. Instead, it offers both. So alongside the aforementioned specs, it is just as plush and well-fitted as you could ever hope for a yacht to be. With that in mind, the cabin has been outfitted by Luxury Projects Design Studio and features a fresh and modern design with sharp and eye-catching elements and furniture alongside the dark wooden floors. Also for charter: from EUR 77,000 per week. 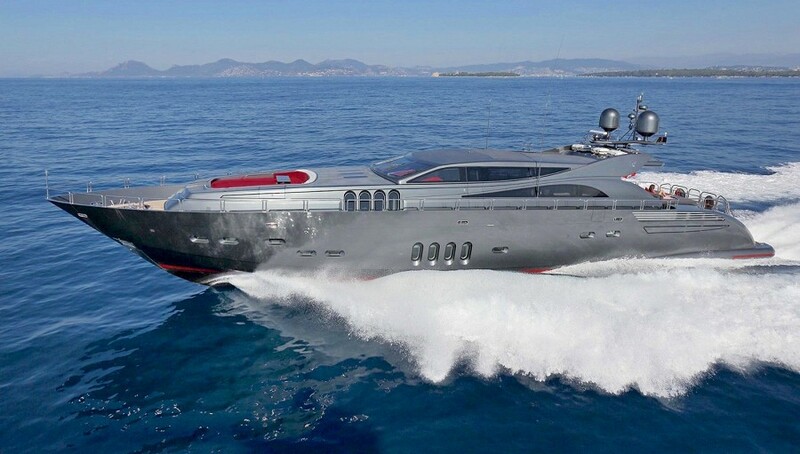 For that money, any future buyer will receive one of the most spectacular performance yachts we’ve ever come across. If you are looking for something else, we will be happy to find your next boat of your dreams. If you have a boat to sell, please let us sell it for you, based on No cure No pay.